studied Film Scoring at the Berklee College of Music and Composing at the Ars Nova School of Music (Caracas). shows. His original compositions have been performed at various renowned venues including La Mama's Ellen Stewart Theater (New York) and Barrington Stage Company (Pitttsfield, MA) and the Colony Theatre (Miami Beach, FL). 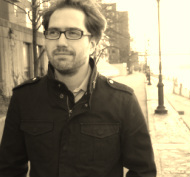 He also founded the VirtualStudio.NYC which connects musicians and engineers around the world to produce top-quality recordings. for film, TV, and theatre, and a record producer and arranger in his native Venezuela. CBS Sports- "We Need To Talk"
Had the pleasure of working with CBS Sports writing and producing the theme music for their new show "We Need To Talk"-- the first all-female sports talk show in TV's history. Very proud to announce that I will be scoring the upcoming american telenovela "La Fan" for Telemundo. 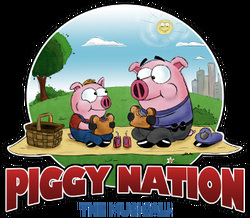 The cast is led by Angelica Vale, who also pitched the initial idea for the show, and directed by Miguel Varoni. Click HERE for clips of this funny and delightful new show with a Mexican-influenced pop/rock score. Had an amazing collaboration with director Cara Consilvio creating an original score for her film. 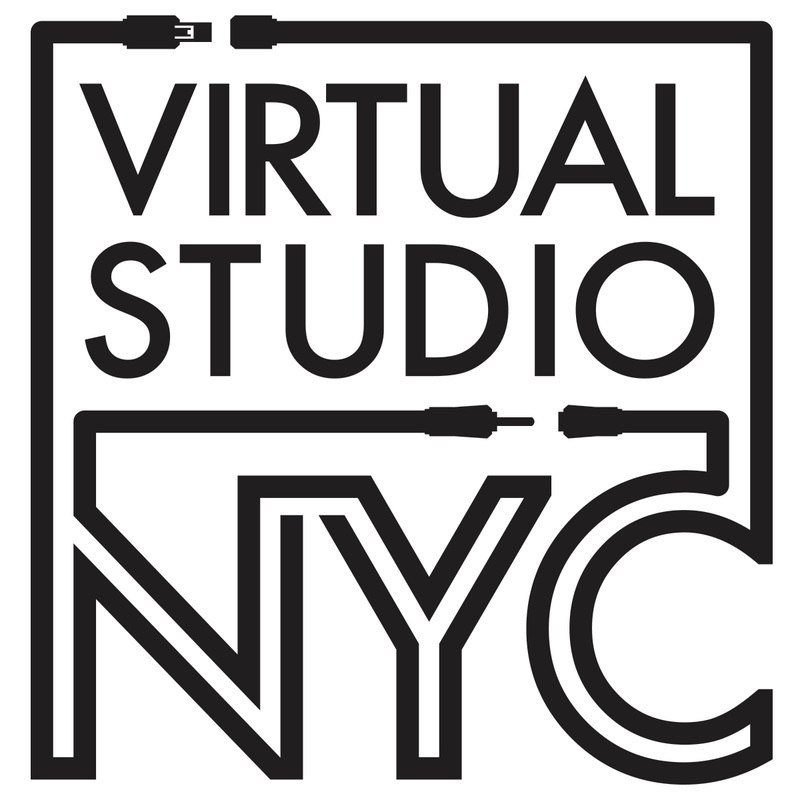 Piano and strings were recorded with the VirtualStudio.NYC and sounded great! 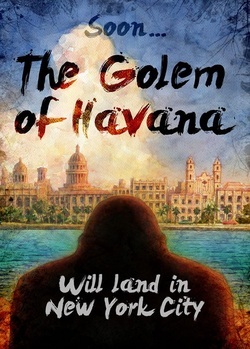 I am finally back in town from the production of The Golem of Havana, in Miami Beach. I was also music directing and playing in the band so had to be there the entire time. Huffington Post said "Salomon Lerner, a brilliant composer who'd mastered melody and rhythm in both Jewish and Latin genres" while Florida Theater On Stage wrote "Lerner’s lively pulsing music is winning and delighting as it crosses genres effortlessly". Read more great reviews here: Miami Herald article, Yoani Sanchez review, Miami Herald review, Theater Pizzazz review. After years of producing works and creating a network of musicians and engineers around the world, we finally have a place in Cyber Space to call home! Stop by, check out our work and share with friends and colleagues. So proud to announce the premiere of five new works I wrote and produced for dance pieces by renowned choreographer Eryc Taylor and his amazing company of dancers: Jessica Aronoff, Caroline Brethenoux, Shoko Fujita, Jessica Featherson, Roberto Lara, Timothy Patterson and Camille Workman. The Company will preview The Exhibit at the Howl! Happening Gallery, 6 East 1st Street (between Bowery and Second Aves), on Wednesday, October 7 at 7 pm. Preview the show which opens July 23rd at Barrington Stage Company's St. Germain Stage. The article tells the story of the show and its creators, read it here! It is a privilege to have been called to be the musical director of a developmental workshop of the new musical Eighty-Sixed by Sam Salmond and Jeremy King at 2nd Stage. The amazing cast of Adam Chanler-Berat, Adam Kantor, Jason Tram, Robin De Jesus, Matt Shingledecker, Dee Roscioli, Michael Linden, Jeremy Morse, Larry Owens and Kyle Brown will be directed by Kevin Newbury. THE GOLEM OF HAVANA AT BARRINGTON STAGE COMPANY! 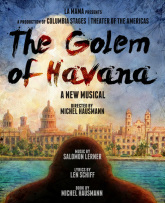 I am so happy to announce that The Golem of Havana (Book by Michel Hausmann, music by Salomon Lerner and lyrics by Len Schiff), will have a production this Summer at the Barrington Stage Company in Pittsfield, MA. We are lucky to have Bill Finn and Julie Boyd help us recreate The Golem and make it better than it's ever been! I will certainly update more and the Summer approaches, but make plans to come out to The Berkshires this summer and enjoy some good theatre in a very nice area! I am very proud to have done copy work for amazing orchestrators Michael Starobin and Greg Pliska for this great new musical wirtten by Dan Collins and Julianne Wick Davis starring Sally Wilfert and Michael Winther. The production will play at CAP21's intimate stage (70 seats) February 4-February 22, 2014 (Tuesdays-Saturdays). All performances will be at 7pm. Tickets are available for $18 at www.cap21.org. CAP21 is located at 18 West 18th Street, New York, NY 10011. I wrote a 15-minute long musical with Jamie Cowperthwait (book and lyrics) for the 5th year of 4@15. Come see one of the 5 performances on January 25 and 26! I am arranging/music directing this show with fantastic songs by Sam Salmond. Apart from having great music, lyrics, performers and musicians, this is also a very interactive event that will make everyone have a lot of fun! Come see me at the piano and enjoy the OPEN BAR; Nov. 14th & 16th at 8pm. THE GOLEM OF HAVANA: DEMOS! After a wonderful sold-out and extended run at La Mama's Ellen Stewart Theater, we were able to mix a few demos of some of the songs from the show. Listen to these on the Compositions for Theater page! Arranged and produced demo recordings for this fun and irreverent new musical by Niko Tsakalakos and Peter Nachtrieb. It was fun to record in 4 different studios in New York and Caracas working with friends old and new! Check out the recordings on the Arrangements/Music Productions page. Had the privilege of working directly with composer/lyricist William Finn while vocal arranger Will Aronson was out of town for the first month of rehearsals of this wonderful new musical at Second Stage in October. Do not miss it! email playingwithmatchesmusical@gmail.com to reserve seats. I will be subbing for Rona Siddiqui and you can see me play the piano in this lovely family show Tuesdays at 11am and Sundays at noon for July and August at the Snapple Theater. The score by Alec Wells and Richard Rosser is really cool and fun. Check out some reviews. Arrangements for "All The Kids Are Doing It"
It has been wonderful to write the band arrangements for the first NYC production of All The Kids Are Doing It, a wonderful new musical with book and lyrics by Kate Thomas and music by Joey Contreras. Working on Joey's pop-infused score has been so much fun, and the band sounds great! Come check out a fresh new musical beautifully directed by John Simpkins. More info here. I have been working as music PA and subbing for music director Carmel Dean during pre-production of this amazing new musical written by Amanda Green, Doug Wright and Trey Anastatio. Director is Neil Pepe and musical staging is by Sergio Trujillo, with a fantastic cast including Keith Carradine, Hunter Foster and Allison Case. I am so excited to start production in January-- the show opens on Broadway in March 2013! I have been a fan of Sam Salmond's writing since the Barrington Stage production of "Mormons, Mothers and Monsters" and it has been very exciting to arrange his songs for a rock band. Come to the Laurie Beechman Theater on Novermber 12th at 9:30pm to hear great songs by great performers! Click here for more info. It was thrilling to music direct a 29-hour reading of FALL SPRINGS: A MUSICAL DISASTER at New Dramatists. Written by Niko Tsakalakos and Peter Sinn Nachtrieb, directed by Stephen Brackett, with a cast of 12 wonderful performers: Alyse Alan Louis, Will Erat, Jeremy Morse, Ken Marks, Annie Golden, Isabel Keating, Rebecca Hart, Adam Kantor, Phillip Taratula, Mallory Hawks, Julie Ellis and Sam Heldt. During the month of August, I had the privilege of writing a few songs with William Finn-- he wrote lyrics and I wrote music (not necessarily in that order). It was an honor to perform one of those songs with him at the "Songs By Ridiculously Talented Composers and Lyricists You Probably Don't Know, But Should..." concert on the Boyd-Quinson Mainstage of Barrington Stage Company. The song is called "Motzy and Lady" and it is about my two dogs. We had pictures of them up on the screen while Bill sang it and I played piano. Music directing "The Niko Songbook"
It was such a pleasure to play with Niko Tsakalakos in an intimate setting at Mr. Finn's Cabaret of Barrington Stage Company (Pittsfield, MA). Great singers, great songs!